Vladimir Horowitz, arguably the greatest pianist of our time, was quoted as saying that the music was behind the notes, and that the performance was your search for it. These may be the most important words uttered by the world’s greatest piano teacher (yes, he had a few students). I studied the piano in college, and my professor tried to teach me that great, mystical truth – that the music was behind the notes, that the music was more than the notes. But I was also a single working mother, tired most of the time, and try as I might, practice as I did, I could only find the music in rare moments. When they did come, they were moments of pure, unadulterated joy. Ah, but the Maestro! His search for the music was so intense, so deep, that when he played, it sounded like God. Death, grief, and despair forced me to look behind life as I knew it. At the time, the notes alone were not enough to sustain life. The Messenger is my journey behind things physical, beyond things apparent. None of us is Horowitz. But I believe that all of us, every one of us, can sense the Presence that is behind all things – a Spirit, silent, loving and alive. We may sense it when we look closely at a flower, we may see it in the smile of a newborn, or feel it when an inspiration or the memory of a loved one suddenly washes over us. Call it what you wish. Call it the music behind the notes. But it is there. A loving thank you to all who came to the book signing at the Arlington Metaphysical Church last Sunday, especially my family. 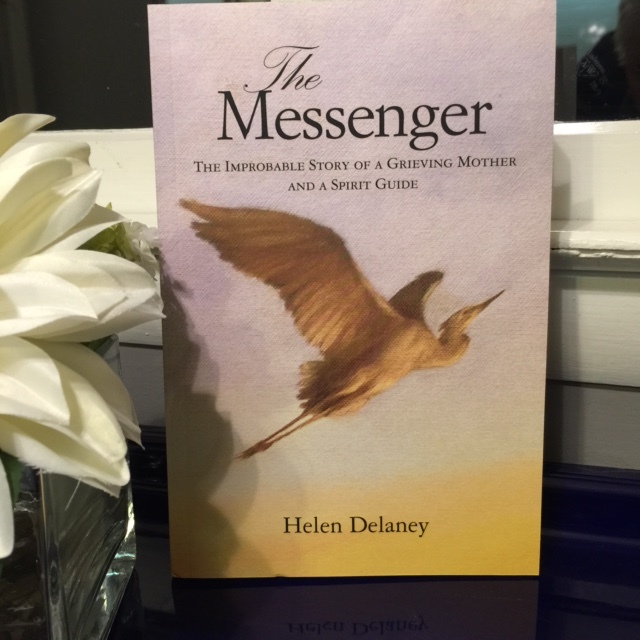 The Messenger: The Improbable Story of a Grieving Mother and a Spirit Guide is available on Amazon.